Good performance of staff, clean room, not too noisy! could hear lots noise from same floor ,talking,ppl closing door,walking,flash the toilet etc,specialy at night when neigbour closed the door loudly,woke up few times.better to do something with doors and noise!! which is a quiet disappointing hotel, far away from city center and hard to find, service is also have some issue, we changed the room because the original one have not cleaned yet at 11PM, elevator not working, but the staff is quiet nice, answer many questions. 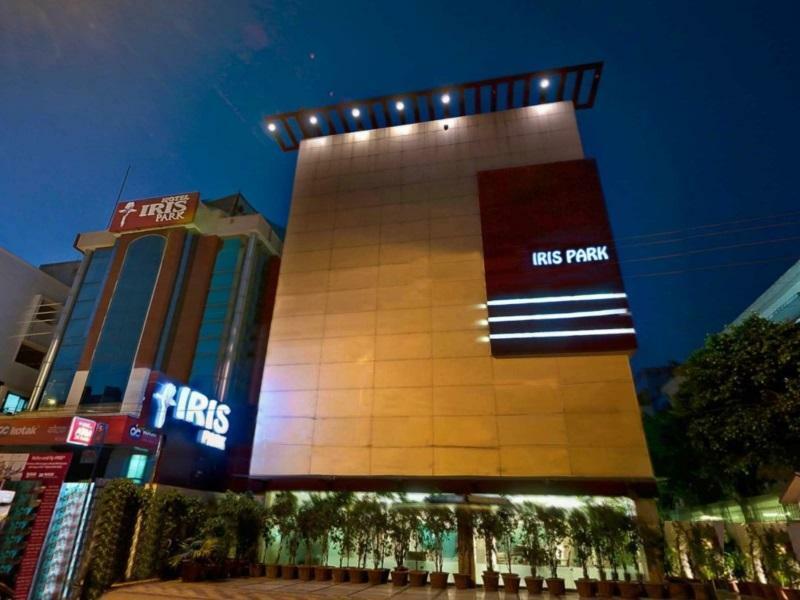 Iris Park has become my first choice for business travel in Delhi as it is quiet, clean, well maintained and provides an efficient service. The location is also good, not far from embassies and many government offices. I found the staff to be friendly and efficient. The availability of free WiFi in the rooms is also a plus, even if the speed is not impressive. I had a great time.. had a good meeting space & the banquet was just perfect for hosting 40-50 guests!! modern and classy interior. Floor wasnt carpeted and i stayed there for a week, ending up with a dusty/dirty floor as I felt that the housekeeping failed to clean the floor. 5 minutes away from green park metro via an auto. Location could be difficult to find if you dont know hindi. Otherwise a pretty decent hotel for its price and I would stay there again as the room is comfortable! this was the first stop of our india trip. the rooms was nice and clean. although it has a distance to the metro station, it is very easy to get a tutu with rs. 40. then you can travel around the city simply with metro system. we spent one brief night at this hotel transferring from the railway station to the airport. my husband and i were thrilled with the accommodations. the room was a bit on the small side but the fixtures, linens, everything were sparkling clean and top quality (everything from the lift to the showerhead were german made?!). it was much closer to the airport than central delhi and it seems an ideal spot for business travelers. there is an atm next door and the neighbors in the apartment complex across the street were above-and-beyond helpful when they saw that we needed a taxi. Stayed at the standard room just for one night.checked in at 10 pm but hotel staff was extremely helpful. The room was very small though.not much space given but kept very clean,toilet amenities were basic but one good thing was they were very well maintained.location is a big plus point. It is a nice hotel with a very kind staff, a nice restaurant at any time, internet free service and taxi service available at good conditions. This is my second stay at Iris Park. I find this hotel very convenient, with clean rooms, good service and a good value for money. I have no hesitation to recommend it to other travelers. an ideal refreshing and resting place for a weary business traveller. the rooms are neat & maintained well providing the comfort for some one away from home. located midway between the airport & railway station in south delhi facilitates local travel without any problem. We chose this hotel for it being relatively close to the airport.........So thouroughly unhappy with the result.......terrible hotel, terrible service, terrible smell!!!! สถานีรถไฟใต้ดิน AIIMS - ระยะ 1.25 กม. Connaught Place - ห่างจากที่พัก 7.76 กม.